Whether you are in need of new tires, a VW oil change, new brakes or just regular routine maintenance our Alexandria Volkswagen service center has the resources to help you. At the Alexandria VW service department, we have an expert staff of certified technicians who are ready to help you with repairs and maintenance so you get the most out of your vehicle. Our certified Volkswagen service center can even take care of repairs brought in as part of the VW roadside assistance program. Keep an eye out for VW oil change coupons or savings on new tires as part of our service specials. Stop by our VW service center in Alexandria to experience the best service near Arlington and beyond. 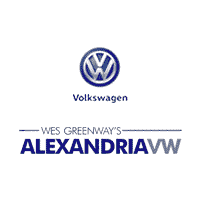 You can schedule your next Alexandria Volkswagen service and order Volkswagen parts online!